Beacons that never run out of battery. Recommended for battery restricted areas, in-store ATMs, and digital signages. Include NFC tags that enable tap-to-learn marketing campaigns. All software plans support NFC tags. We accept payment through this store page using all major credit cards - Visa, MasterCard, American Express, etc. Prices are in US dollars. Q. What is the warranty on the beacons? the date of delivery at no charge. You must contact us at support@beaconstac.com to report the problem and allow for troubleshooting, if necessary. We currently ship all orders within 24 hours of purchase, except during Holiday sales. Q. 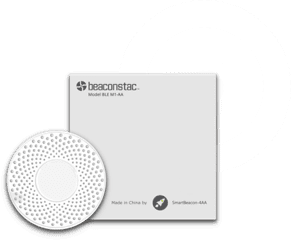 Can I use other beacons with Beaconstac? No. Beaconstac offers an end-to-end solution, so only our beacon hardware can be used with our platform and SDKs. Q. What is the turnaround time for email support? We typically reply in less than half an hour to email queries on business days, with a slower turnaround on weekends. Q. Do you offer a white-label option for resellers? Q. What countries do you ship to? We ship to all countries around the world with international shipping charges, tax and tariffs as applicable. Q. How do I know which plan works best for me? If you are just getting started, then our recommendation is to start with the Basic plan. If you are an agency or managing these campaigns for a client then the Reseller plan is ideal for you. Need to discuss this in detail? Talk to us. Unfortunately, we do not accept refund or exchange requests at this time. Q. Can I use Beaconstac without my own app? No. Since Google discontinued Nearby Notification services, you cannot implement proximity marketing without an app. Beaconstac has built a proximity marketing app that can scan and display beacon notifications - NearBee. Available for both iOS and Android. Read more about NearBee. If you are looking for app-less proximity marketing, try out our NFC and QR code solutions. Q. Can I switch my plan? Like with any other online service, you can always change your plan from the dashboard. Q. How do I cancel my subscription? You can cancel your subscription plan at any time from your dashboard. 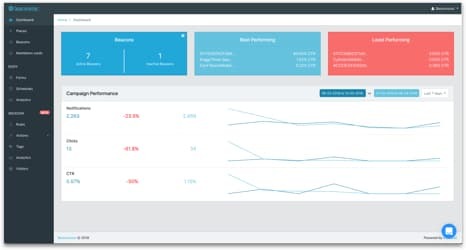 "Beaconstac helps us attract local traffic, grow customer engagement, encourage repeat business and increase sales for small and medium businesses. The experience of creating marketing campaigns and notification cards is flawless. The campaign analytics really stands out - gives me an opportunity to spot underutilized & overutilized zones, creating better efficiency." 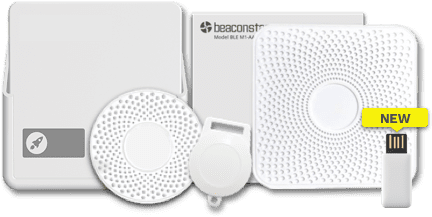 The hardware lineup consists of stationary beacons - Indoor beacons , Outdoor beacons & Long-range beacons and portable beacons - Pocket beacons , USB beacons and keychain beacons . You can learn more about the options we support on the Beaconstac hardware data-sheet. Why do you need to buy a beacon software/platform? Beaconstac currently has four software subscription plans based on the size of deployment and features included. All the above plans support both Eddystone and iBeacon. How much does a beacon cost? A Bluetooth iBeacon/Eddystone beacon costs $23 on an average. However, the cost varies based on the form factor, signal range, typical battery life and other factors. To deal with diverse business needs, Beaconstac offers a range of Bluetooth beacons with varied capabilities. 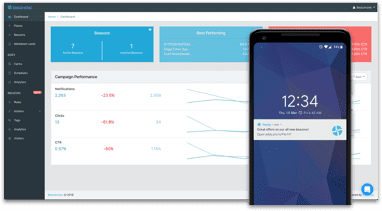 To accelerate the go-to market time & reduce the overall cost of beacon campaigns, you need to buy a beacon platform. Depending on the size of deployment and features required, the price of iBeacon and Eddystone software varies. Beacon cost varies based on the form factor, signal range & typical battery life. However, the average cost of a beacon is $23.